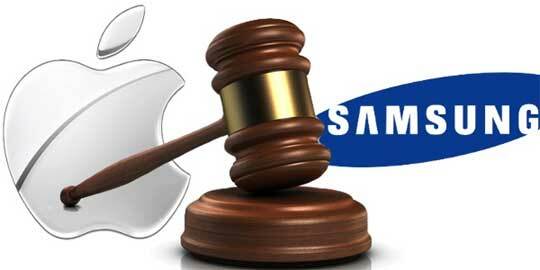 On Tuesday, October 11, Apple and Samsung appeared in front of The Supreme Court to argue a patent case from 2012. Four years ago, Apple accused Samsung of infringing on their design patent for the iPhone, and Samsung was then required to pay Apple about $930 million in return. The Wall Street Journal reported on October 12 that after The Supreme Court heard both sides, Samsung was given a chance to challenge a significant portion of that amount, $399 million, which equals the total profit Samsung made off the 11 phones which were considered to have infringed on Apple’s designs. This specific case went to the Supreme Court to see if a company had the right to ask for all-profits of an entire product instead of just the amount that was made off the design that was copied from the other company. Samsung is insisting that is it unjust to pay Apple all-profits claiming that consumers buy their products for the smartphone’s many functions, not the design. Meanwhile, Apple believes that their sleek look is an extremely vital part of their product, with much of the iPhone success coming from the design itself. Because the design of the iPhone is so integral to the product, Apple believes it is fair to ask for an all-profit rule. Samsung and Apple both agree in the rules and laws that impact this case, patents were broken and money needs to be paid. However, how these rules and laws should effect the case, how much money should be paid, is where the two companies disagree. The Supreme Court said they will review these laws, possibly create new ones, and let lower courts decide the fate of the case instead of the Supreme Court itself. If the higher court does decide to rule on this case, a decision is said to be made by June of next year.